Toro the Bull King, like most heroes in Arena of Valor, seeks revenge against Wukong who was once considered his brother. Poor Wukong, facing Toro while having a grudge... not optimistic perspective. Leveling priority: Both Bullrush and Battle Cry are equally important, but try to keep Battle Cry one level higher. The main reason behind this is to line up those cooldowns so they refresh at the same time. Play: Toro's role is relatively simple while having ally beside you, use Bull Rush on the enemy, Battle Cry to absorb incoming damage and control abilities. Cracked Earth has a large radius so try to use it on multiple targets. 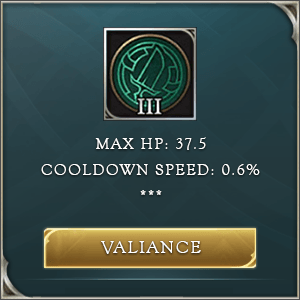 Once all abilities are off cooldown use Daze to buy some time for the next rotation of abilities. Will not be affected by control effects when using abilities. Damage took also reduces by 20%. -Great in combination with Battlecry as you can tank stuns and skillshots and move out of a pinch without much trouble. -Position yourself way forward and time your abilities to tank as many crowd control skills as you can because it can be crucial for your team. Toro lunges towards his enemies, causing 115/130/145/160/175/190 (+100% of AD) physical damage and knocking them into the air. -The range is 550 units. -Good engaging tool, you can easily reach enemy backline or use it to control the enemy front line. -You can also jump over obstacles with Bull Rush, but make sure to stand really close to the wall. Toro bellows with rage and gains a shield that absorbs 250/300/350/400/450/500 (+2% of own maximum HP) damage. 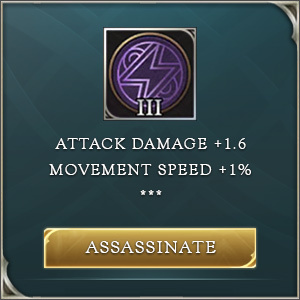 Also deals 375/425/475/525/575/625 (+115% of AD) (+3% of own maximum HP) physical damage to enemies within range and slows their movement speed by 35% for 1 second. -Your main tanking skill, shouldn't be too hard too master. In combination with Bull Rush it works like a kind of a taunt because you will find yourself in the middle of the enemy team most of the time. Toro leaps to the target area and stomps the ground 3 times. The first 2 stomps deal 150/200/250 (+0.75 AD) physical damage, and the third stomp deals 300 (+150% of AD) physical damage. The first stomp reduces enemies’ movement speed by 30% for 1 second; the second stomp reduces enemies’ movement speed by 50% for 1 second; the third stomp knocks enemies into the air for 1.5 sec. -Your main initiating tool, while using Cracked Earth you are immune to stuns because of the passive. -Super tanky. Toro is one of the champions with the highest amount of constitution. His innate ability to absorb damage, combined with his passive, enhanced with a few defensive items and you are a perfect tank. -Superb initiator. Your ultimate - Cracked Earth is perfect for initiating fights. Even without it, Bull Rush is your an excellent skill for initiation. Since you should always be in front, make sure you bring the fight to the enemy and make them fight on your own terms. -His passive makes him immune to crowd control abilities for the majority of the time. (While you are using abilities you are immune) great synergy combined with long casting times of Toro's abilities. -Long cooldowns. Make the most out of your abilities or you and your allies will be in a lot of trouble. Don't rely on normal attacks as they are slow and weak. -Lacking Solo power. Toro can BULLy (see what I did the?!) opponent, but he is lacking damage to execute upon opportunity he creates. Because of this don't try to be too cool, instead, help allies score some kills. 90-second cooldown: Stuns nearby enemies for 0.5 seconds and reduces their damage dealt by 40% for 2 seconds. Leveling skills: You should level up Battlecry first. Laning: Make sure to have a laning partner, Toro is relatively useless solo as the damage is very weak. Try to go with a marksman. Use the Bull Rush + Battlecry combo whenever you can to knock up and damage the enemy. When you get to level 4 coordinate with your laning partner and dive the enemy with Cracked Earth, just a bit behind them. It's a reflex to run backward, and that's where you get them. When Cracked Earth ends use Battlecry, and afterward Bull Rush to cc the enemy once again. Team Fights: You are the main initiator of a team fights, surprise the enemy team with Bull Rush than cast Cracked Earth right into the core of their team. At this stage, you are about to get punished so use Battle Cry to absorb some damage as well the continuation of Toro's passive, and if you have some cooldown reduction speed already built than Bull Rush should be ready to use again and depending on situation development retreat back or re-engage. This chain casting of abilities is the major reason behind The Aegis being the first item. Having lot more armor, reducing the attack speed of those attacking you and with 20% cooldown reduction Toro can dramatically increase his passive uptime, which in turn additionally increase damage reduction as well as it allows to soak some of the opposing team's control. Also, this is the reason why Gilded Greaves are not built (no point in resistance when you are immune to control most of the time) so either Sonic Boots or Flashy Boots, depending on what you want to emphasise, toughness or control.